Many residents feel left behind by the market economy, which Georgia adopted after the fall of the Soviet Union. Older residents speak with nostalgia of being ‘taken care of’ and having a sense of stability they now lack. 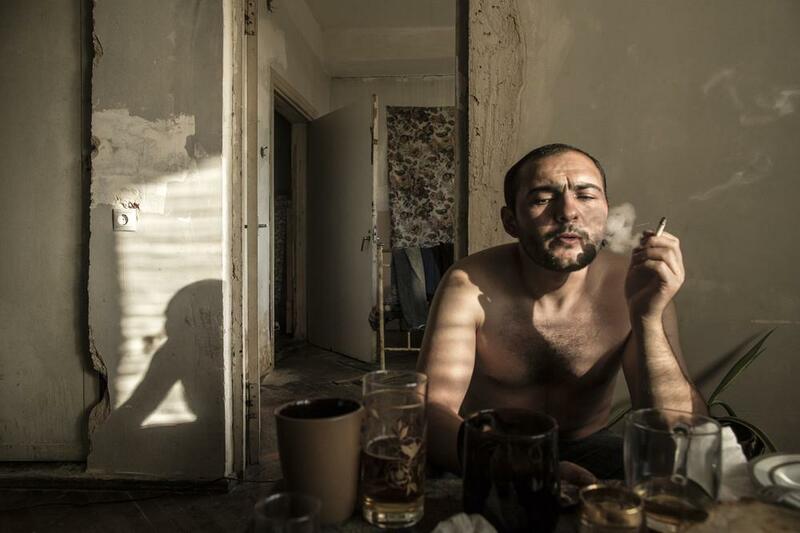 Twenty-five years after the fall of the Soviet Union, many Georgians are still adjusting to life in the new economy. 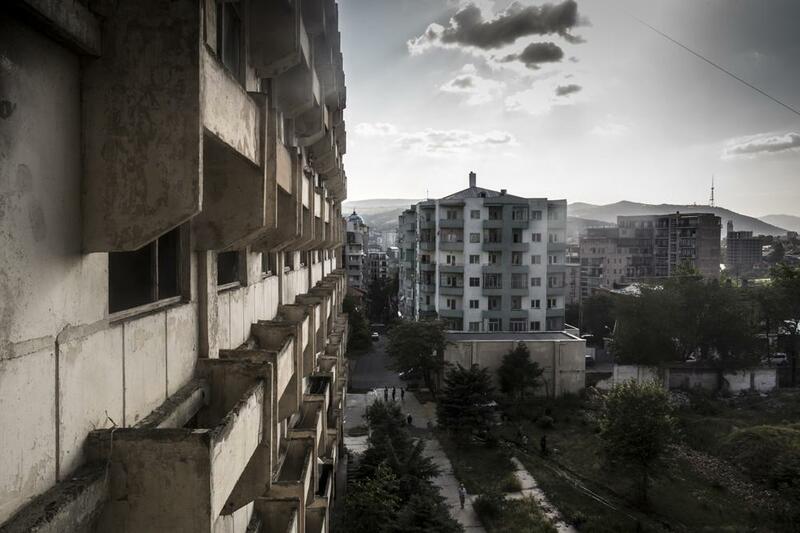 On the outskirts of Georgia’s capital, Tbilisi, an abandoned military hospital from the bygone era serves as a refuge to some 150 families unable to find jobs and affordable housing. 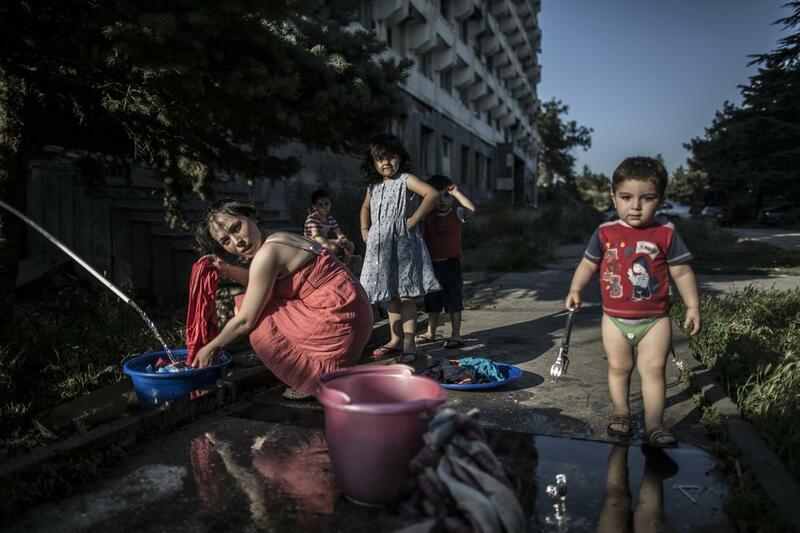 Refugees from the Abkhazia War in the early 90s have used the seven-story complex as shelter for the past two decades. Local government pays little attention to the building, and when they do it’s to cut off electricity and water, which residents have diverted through a jerry-rigged lattice of wires and pipes. Modern Georgian society as a whole seems to willfully overlook the Soviet architecture littered across the city, trying to forget a past which still crumbles before their eyes. Photographer Jacob Borden documented the decay and ruins. 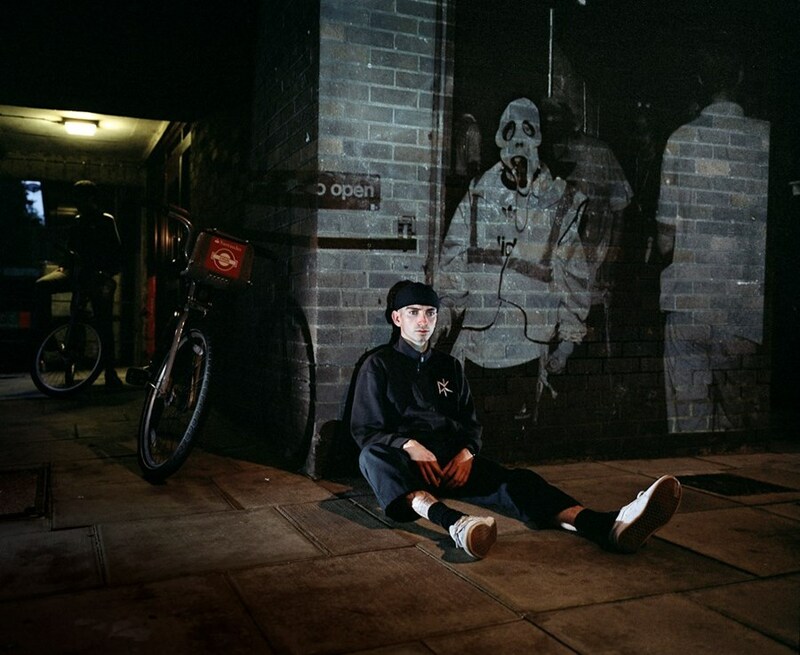 Follow more of Borden’s work here. 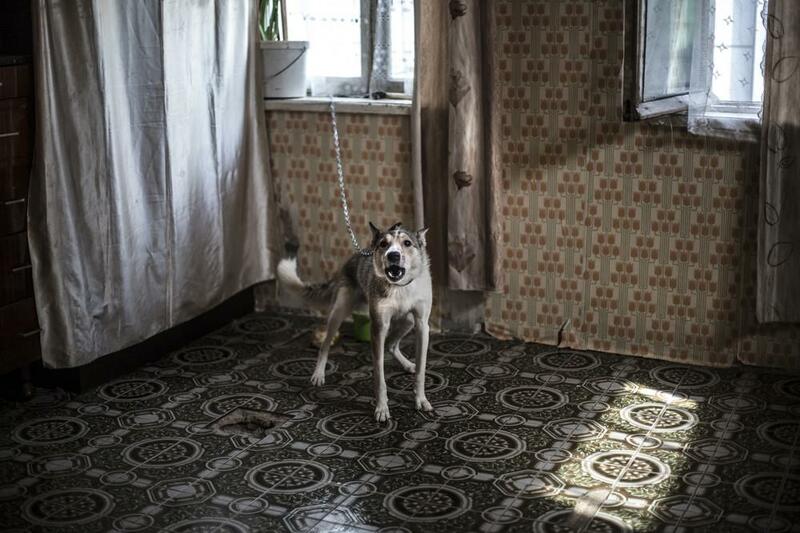 A pet dog on a chain in one of the rooms. 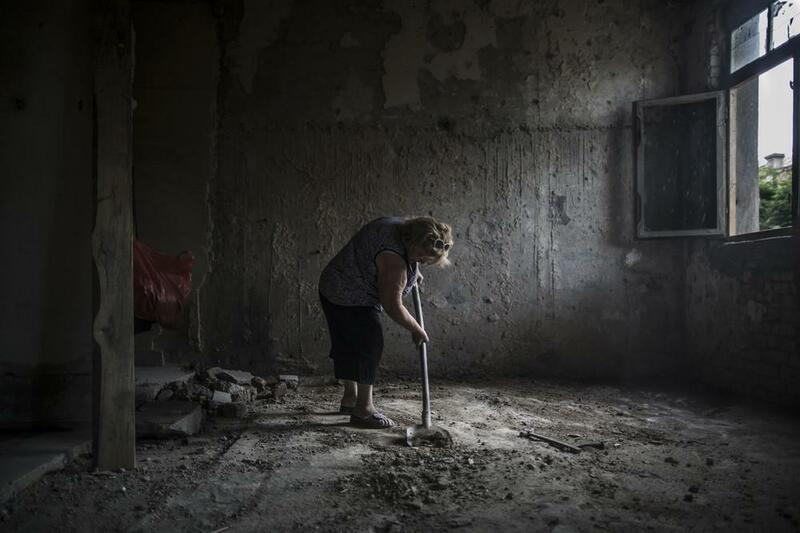 Residents scavenge flooring and wallpaper to convert the concrete spaces into a livable environment. 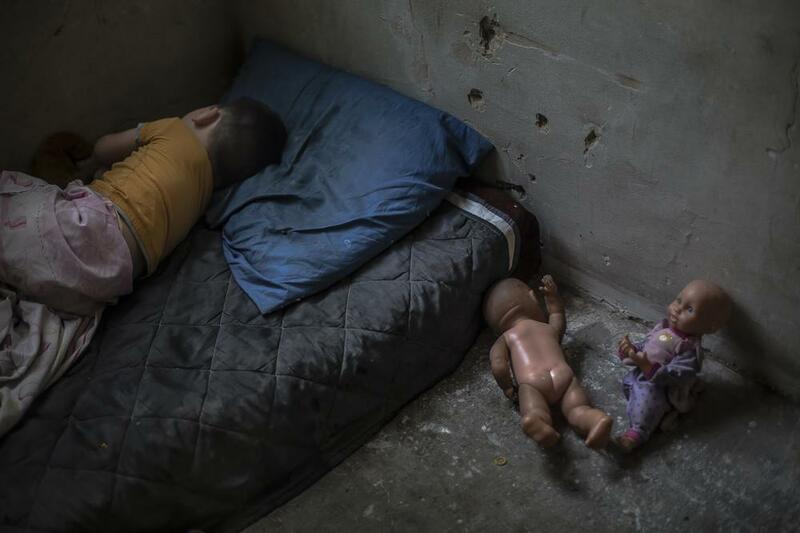 Nikoloz Beriashuli, 2, sleeps in the concrete room he shares with his mother, father, and sister. 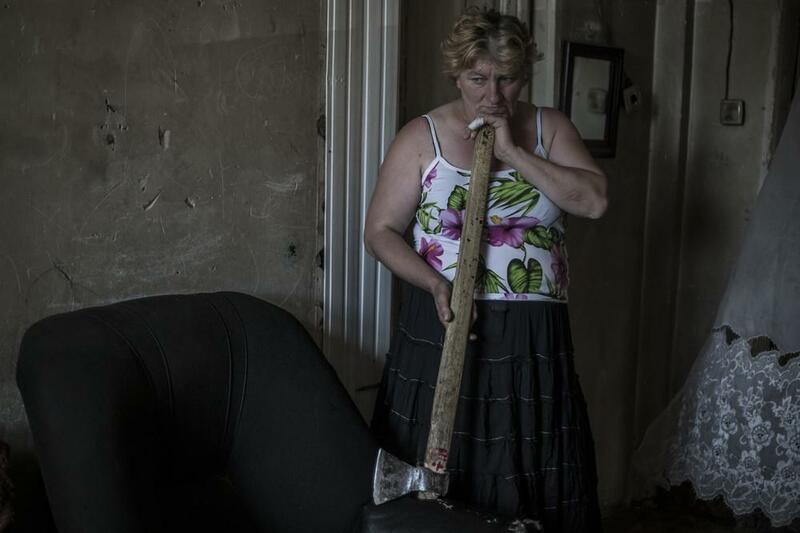 Maia Daiquiri, 45, prepares a vacant room for her and her children. 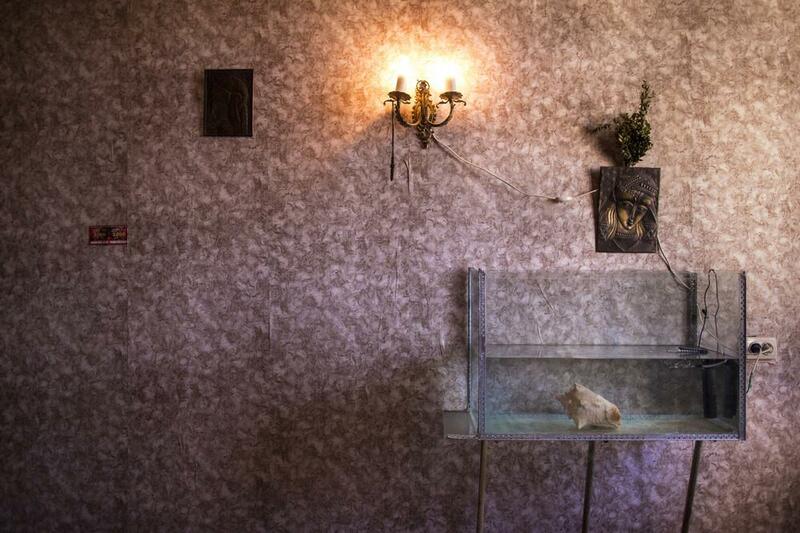 She’s lived in the building since being displaced during the 1992-1993 war with Abkhazia. A conch shell serves as shelter to a lone minnow. A view from the fourth floor of the old hospital in Tblisi. Government assistance ranges from 45-60 Lari per month, forcing many to choose between paying rent or saving the money for food. 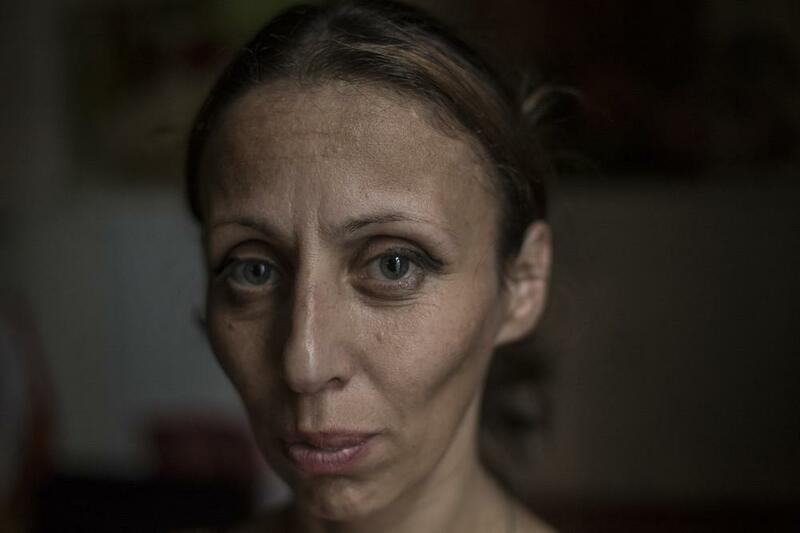 Ia Ochianri, mother of two, is often alone with her children while her husband looks for work in nearby Russia. 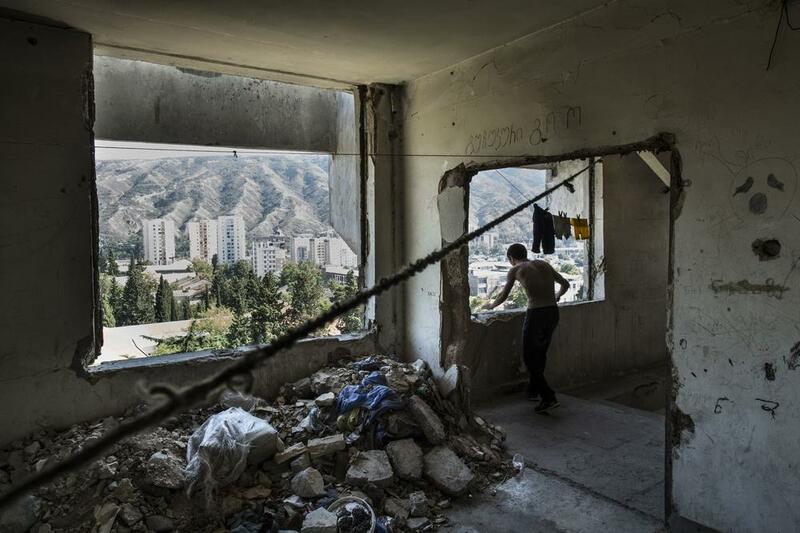 A man looks out the fifth floor window of an abandoned Soviet military hospital, now serving as shelter to over 400 people, 80 of them children.